When you make a purchase please contact me which patterns you wish to order. It can be 10 different patterns or 10 the same. Copper looks stunning and it has a softness in it, while still being a wonderful bold and shiny accent. Metal finishes will always make a big impression on a space and will always look stylish. 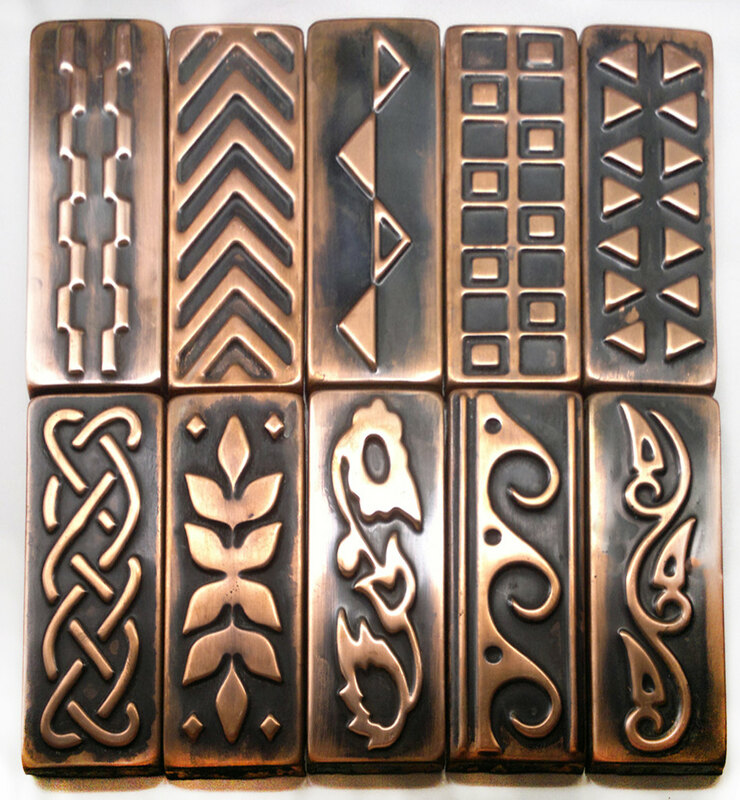 Use our copper tiles in columns, kitchen walls,archways and stairway risers. These copper accents make dramatic designs accents as kitchen backsplash, range hood ornament and fire places facades.